Odoo has been providing numbers of services from a certain period while the best part of Odoo services is it does not limit itself to anything but always try to learn and make people learn more. Odoo experience is one of the biggest Odoo’s annual event which takes place at different places every year. All the events organized by Odoo community has got a great success whereas the Odoo experience 2018 is considered to be the most knowledgeful event of Odoo. It was organized in Louvain-La-Neuve, Belgium on 2nd of October while the event continued for three consecutive days. Particular event is organized every year with the intentions of gaining and sharing knowledge since numbers of professionals participate in the event while numerous experts are available to troubleshoot the problems and make people understand working of Odoo on Spot. 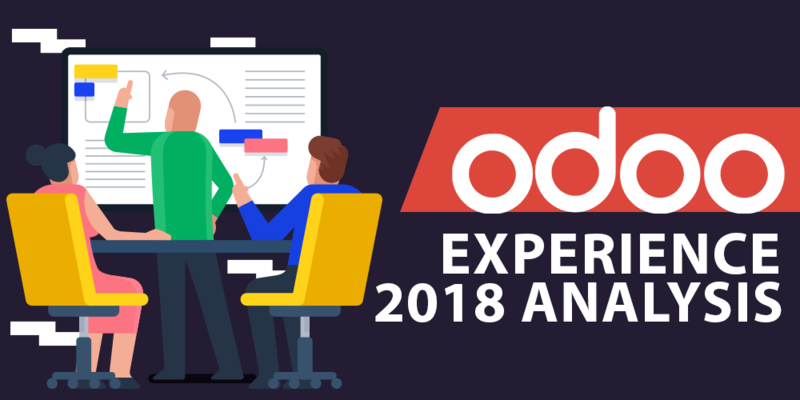 Odoo Experience 2018 had numbers of demo booths which were providing demos to its users to make them utilize Odoo at the most whereas there were more than 150 presentations about functionality and working of Odoo. The whole community gets together to make Odoo more efficient and make people aware of it. The event is getting support due to its usefulness while the event of 2018 was more efficient and organized in a fascinating style. The reviews of the people are good since audience got to know much more about Odoo applications and their working. The event was a complete mixture of entertainment and knowledge which brought it to become successful. Another part of making the event successful were the audience since more than 2400 professional participated in the event of 3 days and talked about new innovative idea and how Odoo can be utilized at most. The audience was able to get on spot guidance which is certainly an effective approach to make people aware about the usage of Odoo. Since Odoo applications are versatile, it is essential to know about them in detail for utilizing it well. The idea of the following event is actually to spread awareness as well as to know the position of Odoo and know the spots where Odoo needs to improve. These events are later found useful to analyze such data and improve the working of Odoo according to the needs of users. Sponsors and event partners cooperated in an effective manner which eventually turned the face of an event to a successful one. Three days were full of knowledge, training, professionalism, innovative ideas and entertainment while there three days will be useful for Odoo community for the whole year. Odoo community is glad to interact with its users as well as making users clear about the functioning of Odoo. It will be working on a new idea gathered in the event till next year while will again come up with more upgradations in Odoo experience 2019.